For the 14th edition of the Opus collection, Harry Winston partnered with independent watchmakers Franck Orny and Johnny Girardin (“Frankie and Johnny!”), whose previous claim to fame is the Montblanc Metamorphosis watch. 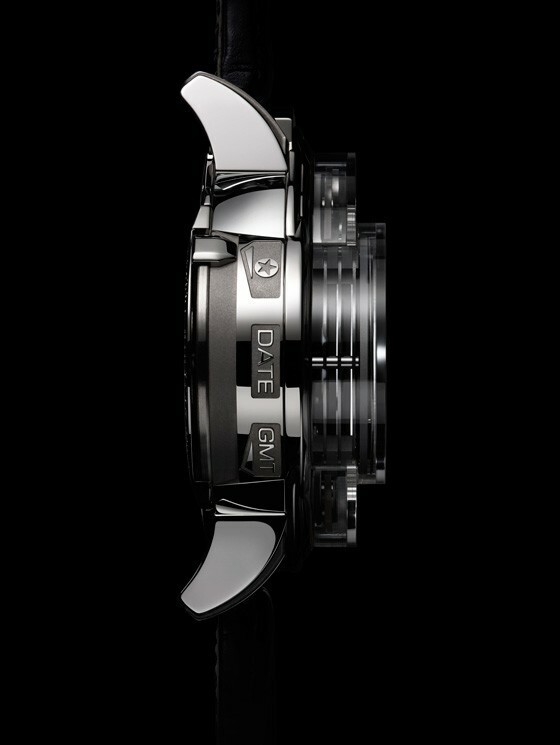 The huge 54.7-mm case is made of 18K white gold and is covered by a sapphire crystal cut from a single block. 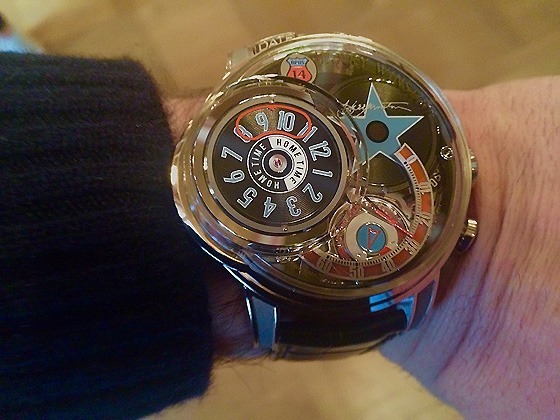 The signature automaton complication evokes the mechanics of a miniaturised 1950s-style jukebox. Stylish details include the local time display on the off-center subdial display at 9 o’clock, the vinyl-style finishes on the various dials, the two-toned insignia bearing the number 14, the shaded red of the retrograde minutes arc, and the blue-toned hour markers. All together, the elements call to mind classic Americana, specifically the golden age of rock ‘n roll, classic diners, and the legendary Route 66 — all aesthetic touches also on display at the launch party. 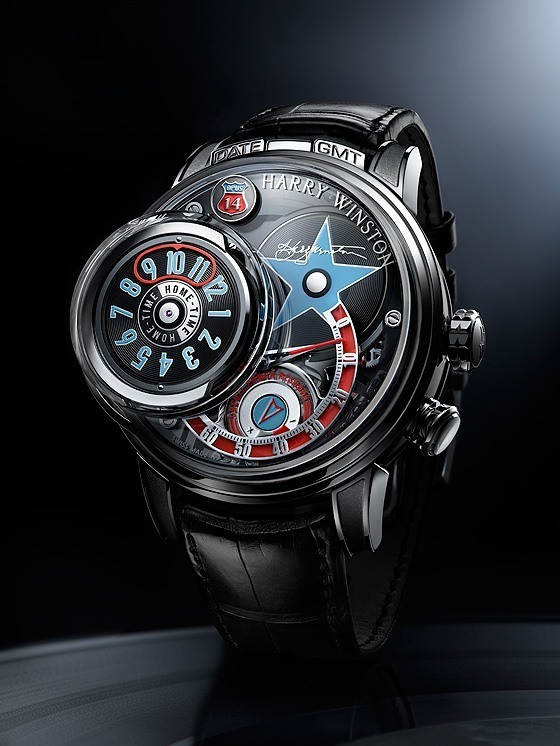 The patented, world-first miniaturised jukebox mechanism reveals four disks housed in a store, each showing a specific display: local time, GMT time, the date, and a Hollywood Walk of Fame star bearing the signature of Harry Winston — a reference to the brand founder’s history as a jewellery supplier to Hollywood royalty.